April is Autism Awareness month and Village Northwest Unlimited is encouraging all people to learn more about Autism Spectrum Disorder (ASD) and actively support of individuals and families who are living on the Autism spectrum. The Village is encouraging Sheldon and surrounding communities to show their support of those on the Autism spectrum by again wearing blue on Fridays during the month of April. 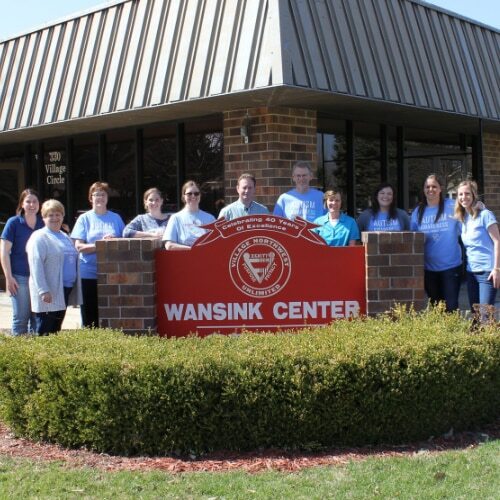 VNU is encouraging both businesses and individuals to share their individual or group photos of themselves via twitter @VNU_Iowa and on Facebook wearing blue. VNU will be giving away a prize to the most creative photo shared! “VNU strives to be a part of promoting awareness of, and actively supporting all individuals who are affected by ASD” says Ryan Haack, Director of Development. “VNU specifically offers unique programs and services for adults with ASD and we are particularly interested in helping individuals improve social skills, life skills and employment skills to become active and successful members of our communities." Autism Spectrum Disorder (ASD) is the general term for a group of complex disorders of brain development. These disorders are characterized, in varying degrees, by difficulties in social interaction, verbal and nonverbal communication and repetitive behaviors. An estimated 1 in 68 children in the U.S. is diagnosed with ASD. Over the next decade, a growing number of individuals with ASD will be transitioning toward the need for adult services and supports. Many adults with ASD possess high potential, but experience difficulty navigating social relationships, community settings, pursuing additional education, seeking employment, and maintaining employment due to struggles with transitions, communication, and social interactions. Village Northwest Unlimited offers services to adults with ASD that support individuals in developing social and life skills for maximum independence. For more information about the program opportunities for individuals with ASD, contact Jerry Postma at Village Northwest Unlimited at 712.324.5403.